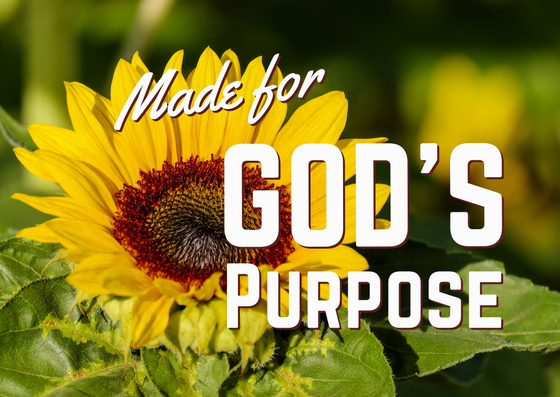 Everything God has made, He has made with and for a purpose. We must surrender to the Lord and He will reveal His will for our life by His spirit. We want to maximize the dispensation God has given us to prepare for His next move. We must prepare ourselves and prepare the church for the next move of God. God didn’t send us to be an extra. There is a need for us. God needs us and there are people who need us. We were made to succeed. God didn’t make us to fail. God will make known His will for you. God will make known His purpose for you. He knows the time of your birth, death, and everything in between. God gives you knowledge on a need to know basis. God trusts you when you obey. He is a good communicator and knows how to speak to you. God will make His will clear to us. When you come to the whatever point, that is when God will let you know His will. God will show you why He put you on the earth in this time. a) You have to surrender to the Lord. He chose this time. God will reveal His will by His spirit. The challenges and adversity that we go through, is to bring us to the whatever moment, when you say “whatever your will is” to the Lord. b) God will make known what He has prepared for you. No man can tell you what your purpose is. God’s will for your life is deep. God will reveal your purpose by His spirit. c) God will make known His wisdom to guide your life. You need guidance because you don’t know why. d) God will make known His mind. He will make known your purpose and why you are here. There is a bigger picture. God has made you for success. Your career and job is not everything. God has something bigger in mind. There are people who need you, you are not a mistake. God will make known His will for you. God will reveal your purpose after you surrender to Him. God will make known what He has prepared for you by His spirit. He will make known His purpose for you and why you are here.